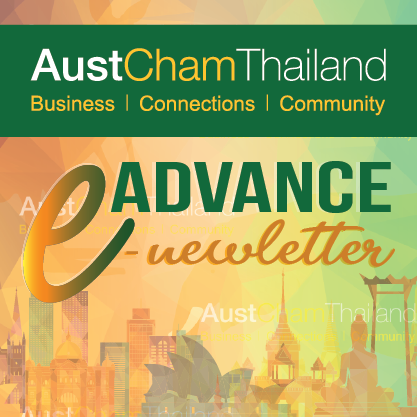 For WHA Corporation PCL, enriching the lives of community members living in Thailand’s Eastern Economic Corridor (EEC) is one of its top priorities. The company’s engagement to the people has grown constantly each year, with programs in education, community care and the environment. Its aim is to make sustainable contributions that can help improve the plight of families and communities, as well as assure a brighter future for the youth. Supporting school-age children has always been a cornerstone of WHA’s CSR activities initiated many years ago by Hemaraj Land And Development PLC, a subsidiary of the WHA Group. Since its establishment in 1988, Hemaraj has held many activities for community development and has given support to schools located near the Hemaraj industrial estates. In 2009, Hemaraj organized its first “Art Camp” which has evolved into “Teaching Art for Teachers” and “Art Camp for Students” for both primary and secondary schools. To date, over 48 schools involving over 5,000 students have participated in these activities. Today, WHA continues to support, organize and initiate education-related projects that make a difference in the lives of the youth. Art is very important in early childhood as they are part of the learning process, leading to creativity. Being able to think freely and express oneself through colors, shapes and forms can increase a child’s chances of success. Studies have shown that children who have access to the arts develop better thinking, communication, motor and problem-solving skills. They express themselves clearly and are more inclined to finish their studies. Unfortunately, in most public schools in the rural areas, art lessons are rare and children are not exposed to creativity. They do as they are taught and have no chance to use their imagination. WHA Group has been lending its staunch support to maximize the potential of the youth and to recognize the need to include art in the children’s over-all education. In 2009, Hemaraj initiated Art Camp at Hometown, an annual activity that focuses on developing students’ interest in the arts to use their creativity and imagination in a productive manner. It provides students in primary schools with the basic knowledge of art such as colors, shapes, lines and balance, and instills in them a feeling of pride towards their origins, or their hometown. In 2013, this evolved into the Art Camp Trip, where Matthayom 1-3 students are given the opportunity to explore nearby historical and cultural sites, and to integrate this with art concepts. Last September, the Art Camp Trip was held again with 38 children from 8 local schools who gathered for introductory lessons on art composition, watercolor and still life. On the second day, they packed their materials and headed to Wat Khao Bot to do some sketches. In the afternoon, they had painting lessons on-site with the Dok Krai Reservoir in the background. This three-day Art Camp also included a trip to the wastewater treatment lagoon at the Eastern Seaboard Industrial Estate (ESIE) where children were introduced to the concept of protecting natural resources to promote sustainability in their community. Every other year since 2011, Hemaraj hosts an Art contest among schools in the Eastern Seaboard communities to encourage students to present their work and to identify budding artists. The works of Prathom 4 to 6 students are featured in a special exhibit, with prizes for the winning entries. For Ms. Siyaphas Chantachairoj, Director of Corporate Marketing at WHA, Art Camp Trip 2017 was organized for early adolescents in secondary schools to learn art skills and enrich their general knowledge. The study trip within their community to places like Dok Krai Reservoir and Wat Khao Bot enabled them to appreciate local cultural and historical value. Also, the students learned about industrial estates and environmental management. These art projects for the youth are among the most rewarding and dynamic experiences. “Offering children an opportunity to create art and build confidence is a powerful way to strengthen a community. Children’s minds are nurtured and they develop creativity, motivation and resourcefulness, which are important for communication. They develop their ability to respond to fresh ideas and to engage in creative expression,” she explained. “WHA is committed to touching lives of the local youth through comprehensive art programs,” said Ms. Siyaphas. “Art is an excellent vehicle for developing out-of-the-box thinking skills and techniques. It also introduces self-confidence, determination and hard work which are key drivers of success,” she added.